It's tulip time! 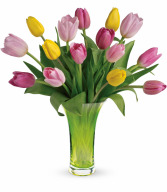 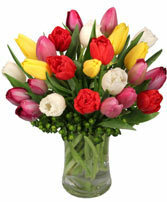 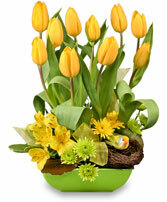 This bright bouquet features sweet shades of pink and yellow tulips beautifully arranged is simply sublime! 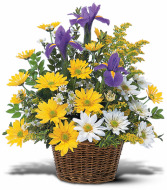 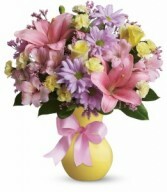 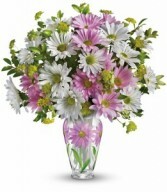 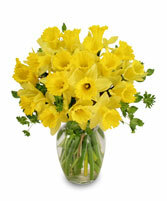 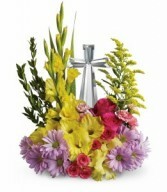 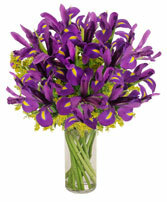 Even if she's already in a great mood, this cheerfully charming bouquet will boost her spirits to the sky. 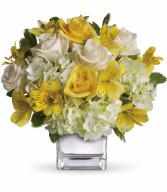 Yellow roses, crème roses and other favorites are irresistible! 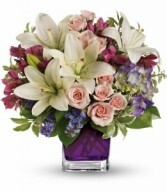 When we say it will leave her breathless, we're not exaggerating. 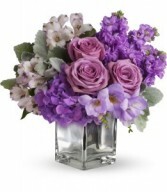 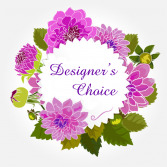 She'll be swept away by the lush lavender roses, white orchid and other fabulous favorites. 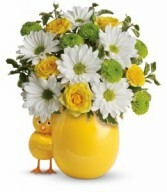 Dots what friends are for! 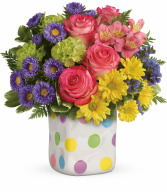 Brighten a friend or loved one's spring day with this delightfully dotty gift. 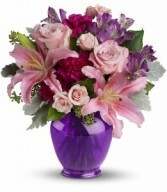 Filled with a happy mix of pink, green, purple and yellow blooms, this arrangement has a playful spirit that makes everyone smile! 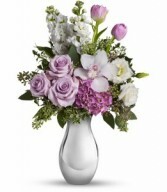 When it comes to whimsical spring surprises, nothing holds a candle to this delightful bouquet! 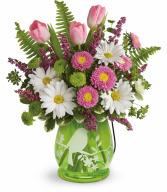 This cheerful arrangement of pink tulips, green mums and happy white daisies, is a fresh-from-the-garden gift that heralds spring. 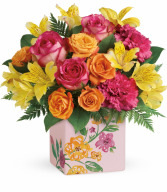 Shower her in blossoms this Spring with this bright, joyful arrangement of orange roses, yellow alstroemeria and pink carnations. 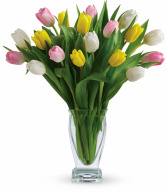 It's a surprise she'll always remember. 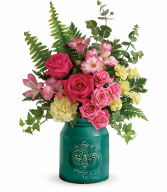 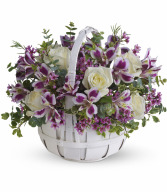 Fresh from the farm, in a country crock and filled with a cheerful rose bouquet, it's a grand gift for Mom!